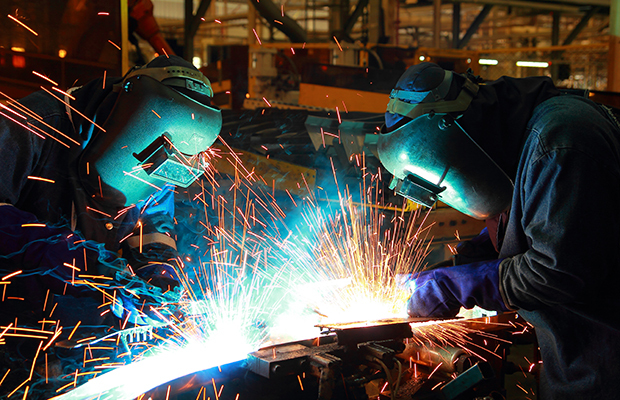 Metal fabrication shops provide a multitude of important services, including punching, cutting, forming, and welding. They can perform soft tooled processes and some hard tooled stamping. From the mill, the metal travels to a service center where it is processed into the desired blank sizes or the desired coil widths. It is then shipped to the fabrication shop, where it is made into the component parts and sometimes even assembled. But what if all of these services could be combined under one roof? This is the first step to create a fabrication shop your customers will appreciate. One Stop Shop – A quality fabrication shop adds a degree of comfort, and makes it easier for the customer because they can provide one stop shopping. Before this came about, a company may have had a separate invoice for raw material, another invoice for fabrication labor, an invoice for post plating, galvanizing, etc. and then maybe an invoice for shipping. One Invoice – Providing all these services on a single invoice streamlines the process for the customer. In the past, a fabricator may have only provided parts at the component level. As time went on, though, customers needed help with additional services. These services included assembly, kitting, line sequences, and all the metal finishes. The fabrication center should evolve to meet all of these demands. Finish Assembly – In some cases, fabrication shops even produced a finished assembly where all that the customer does is put their label on it. A lot of finished parts require multiple processes. Most customers desire the ease of doing business, so if everything can be done under one roof, it makes it a lot easier for them. Variety Counts – A finished product goes through many processes to get to its end state. That makes it necessary for the fabrication shop to house a variety of machines to perform critical tasks. These machines must be able to handle a large number of different metals in different forms, including pre-painted, galvanized, and stainless steel. Therefore, it's important to work with fabricators who have expertise in handling a diverse collection of materials, such as aluminum, stainless, hot rolled, cold rolled, and all different gauges. * Minimize Production Slowdown – Having duplicative equipment at the facility is also important. This helps minimize the risk of a slowdown in production resulting from a breakdown or maintenance issue. Duplicative machines are particularly important in high-volume orders where a bottleneck can cause a significant backup. Invest in New Machinery – Keeping up with technology and having the correct machinery is key. With the cost of maintenance and downtime, there is a point where a machine becomes obsolete. Therefore, invest in new machinery, while maintaining a balance that matches current and future demands. Transit – Utilizing a fabrication shop can save a great deal of money. In addition to the convenience of having all these services available in one place, the cost of transit is reduced. Further reducing this cost is the ability to ship multiple parts and products together. Freight – There's no longer a need for transit and freight to bounce a product around from place to place. In a lot of cases freight is an issue, but it can be shared by different products and lower the cost for the customer. Multiple Vendors – A streamlined process that goes all the way from the mill to the customer eliminates costs that come with multiple vendors. A multitude of in-house machines can allow for most processes to be performed under one roof, further reducing shipping cost. 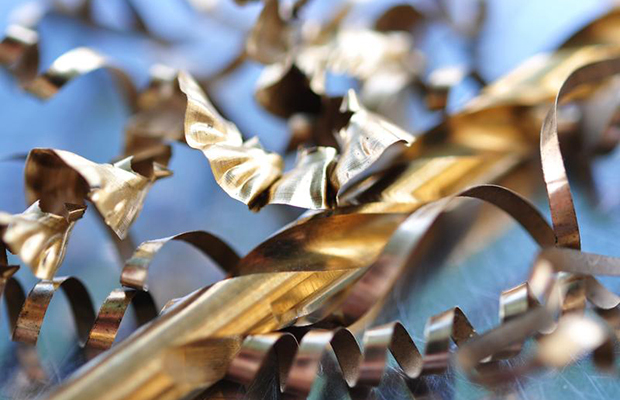 Aesthetics – When working with parts that will compose a finished product, it is important to ensure quality. This is particularly true when a part is going to appear on the exterior of the product. In these cases, extra care must be given to make sure that the part is free from aesthetic defects. Operators – A quality fabrication shop always train and caution their operators to be on the lookout, both on incoming raw material what they are seeing before it feeds into our process, and then at every multiple station or point within our process. Materials – Working with pre-painted and galvanized materials also requires care. Many of the pre-painted parts are going to be visible to the end customer, and the finishes can make them more delicate. Most customers want three things: quality, on-time delivery, and a reasonable cost structure. 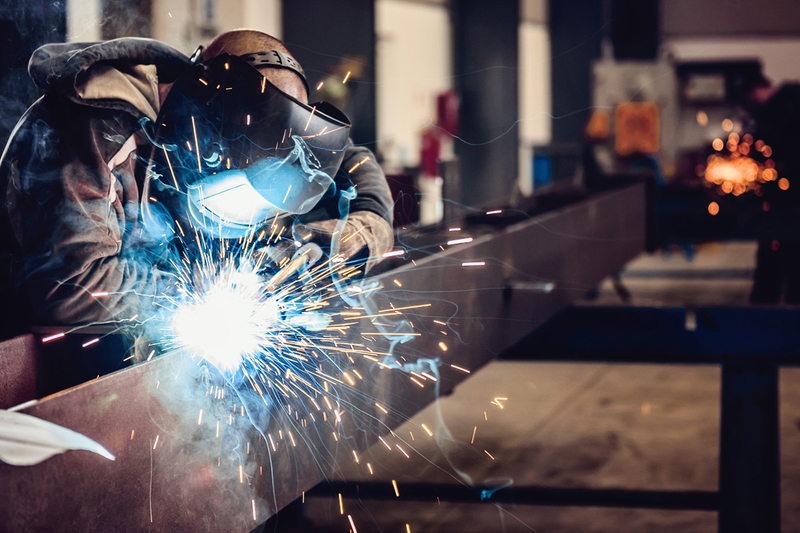 In the past, fabrication shops might ask customers to pick any two of the three, but in today's world you really need to be a leader in all three areas. The bottom line is to provide services that allow a customer to create a better product. It is important to provide fabrication services with care and precision, whatever the demands of a specific part may be. All of this is geared toward allowing a customer to make more and sell more of their finished product. Steven Nghe is currently the Digital Product Innovation Manager for Kloeckner Metals Corporation based in Roswell, GA. This article was written by Steven Nghe from Industrial Maintenance & Plant Operation and was legally licensed through the NewsCred publisher network. Please direct all licensing questions to legal@newscred.com.